For the last two years, the winner of that Beer Bracket has been Two Harbors’ Castle Danger Brewery. Now, this brewery has a special place in my heart because it resides on my favorite piece of Minnesota shoreline: The North Shore. What’s more, they make one of my favorite beers: Castle Danger Orange Cream Ale (please start canning this and selling it in stores!). And, their taproom in Two Harbors is fantastic! Needless to say, I’m a huge fan, and very happy Castle Danger has won this contest two years running. After the big win this year, I got curious. 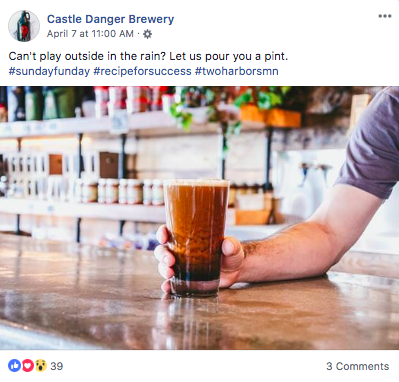 What’s Castle Danger doing with their social media? After all, they just beat out the likes of giants like Surly, Summit and first-year winner, Schells, for Minnesota supremacy. Surely, their social media strategy must be rock-solid to drum up that kind of support! And, to a good extent, Castle Danger does do a nice job with its social channels. They share great hero images of their beer. Feature their taproom. And keep fans apprised of new beers via Insta, Twitter and Facebook. Just one little problem with all of that: it’s almost exactly what every other brewery in the state is doing. I’ve written about the craft beer industry before–six years ago, in fact!. It’s a very copycat industry when it comes to social media–and that’s as true in 2019 as it was in 2013 when I wrote that post. That said, I thought I’d try to help my friends at Castle Danger out with a few free ideas! I want nothing but good things for my favorite North Shore brewery–so here’s four completely free ideas Castle Danger. Use ’em or not–at the very least I hope they’ll see this post and consider them, because I believe they have a great opportunity to use social a bit differently and really use it to tell their story in a much more powerful way. Your last 10 tweets have generated 176 engagements–an average of just 17 engagements per post (for context, they average a whopping 214 engagements per post on Insta!). Given you have 6,387 followers on Twitter, that’s an engagement rate of 0.002 percent. Not great. And, if you’re like most companies, Twitter isn’t driving any kind of meaningful traffic to your site. So, Twitter isn’t driving much in the way of engagement (and Insta is crushing). It’s probably not driving traffic. Yet you’re posting at least once a day here. I suggest you minimize your time on Twitter in a big way–it’s vanity social media at this point. Pour your energy into Instagram and Facebook instead. 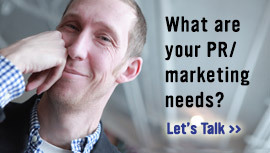 2: Focus a significant portion of your social content strategy on the North Shore. Crafting a North Shore experience. That seems to be your tagline–or at the very least, a brand theme. Yet, you don’t really pay that off in much social content. I’d flip the switch on that. I’d make the North Shore an absolute pillar in your content strategy. In fact, I’d work to absolutely own the North Shore when it comes to beer. I’d feature your beers in well-known and majestic North Shore landscapes (think Gooseberry and Shovel Point). I’d feature your beers and the seasons of the North Shore I’d feature your beers with Lake Superior as a backdrop (like above!). I’d do it all. Now, I know capturing great North Shore visual content will probably be a problem. So, here’s an out-of-the-box idea: Commission one of the great North Shore photographers to do it for you! I’d nominate George Ilstrup! 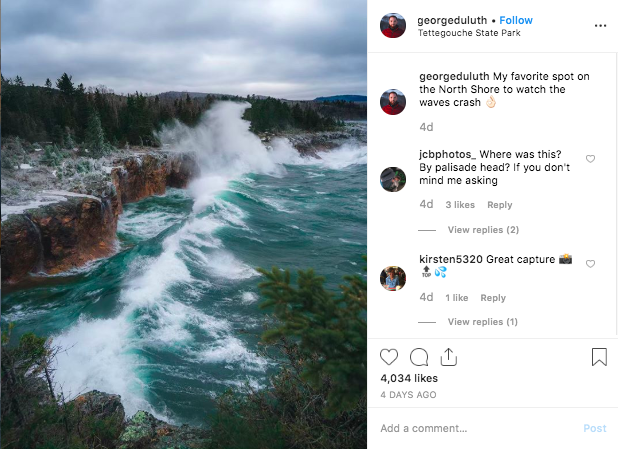 Who better to help you “craft a North Shore experience” than the guy who takes some of the best North Shore photos on Instagram–like this amazing shot from last week’s storm! 3: Rachet back (way back) the frequency on Facebook. 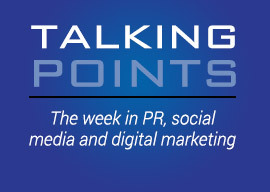 So far in April, you’ve had 20 posts on Facebook–that’s entirely too much! Especially given the fact that I’m guessing you have a fairly lean marketing team and you’re probably not using advertising to amplify posts (call it an educated guess). No, what I’d do is this: Post 8-10 times a month at most. Focus on a mix of North Shore, Pints for a Cause (see below), and promotional (beer-focused) content. 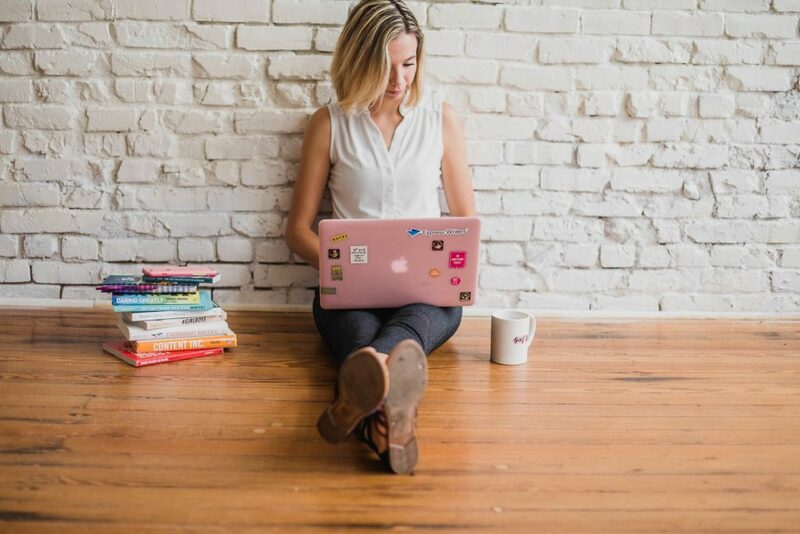 Then, use a limited ad budget to amplify those posts to different audiences (existing fans, prospective fans in Minnesota, and email lists you’ve built at events). 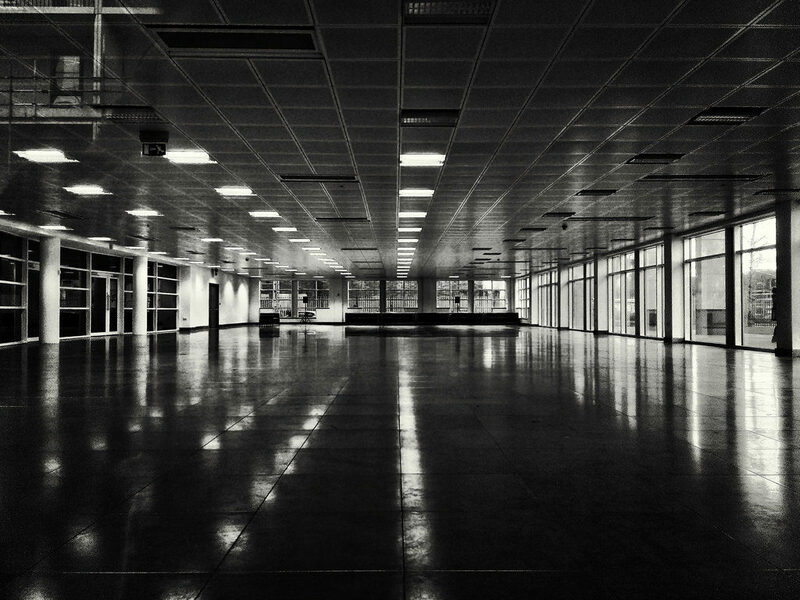 4: Use Stories to “cover” your live events. Trivia. Beer dinners. New beer releases. You feature a ton of events on your site. Why not use Instagram Stories as a tool to “cover” these live events for your fans who might not make it? You could use a mix of formats–video, photos, boomerangs. You could use a variety of stickers, too. Really have fun with it. This would be a great way to bring the Castle Danger brand to life in a new way. And, since most of the live events would take place in your tap room, it would allow you to feature that in a new way, too. Love the Pints for a Cause idea–donating $1 of each pint sold in the tap room every Wed. to a non-profit along the North Shore. Fantastic! But, I don’t feel like you’re leveraging this idea, and the potential content that should come with it, via social media. 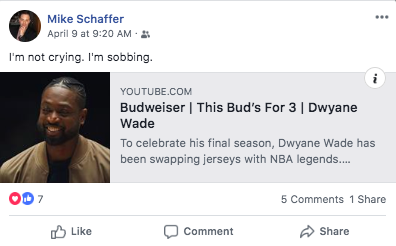 The post below simply isn’t enough (and far too generic). What I’d do instead is bring this program to life by inviting a member of these non-profits to your taproom the last Wed. of the month. Then, interview them on live video (Facebook and Instagram) and talk about how they’ll use the donations, what their organization is all about, and beer. Just an informal conversation about community and beer. Gives you a chance to highlight these deserving non-profits. And, it gives them a chance to thank you publicly while sipping on an Orange Cream Ale (the best beer in the world–again, please start canning and selling this year-round!). OK, so that’s it. Those are my ideas–at least to start! If, by some chance, the Castle Danger folks do see this and you’d like to hear more, well, I’d just love to chat. Like I said in the pre-amble, Castle Danger has always been one of my favorite breweries, on my absolute favorite Minnesota coastline. 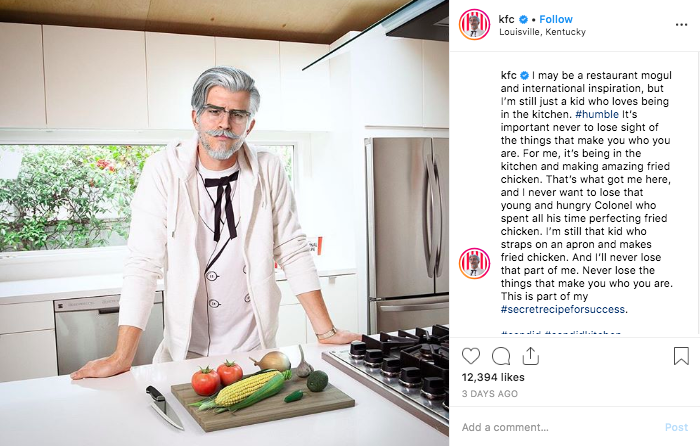 In case you missed it, KFC launched its own virtual influencer last week–a virtual Colonel Sanders–on Instagram. 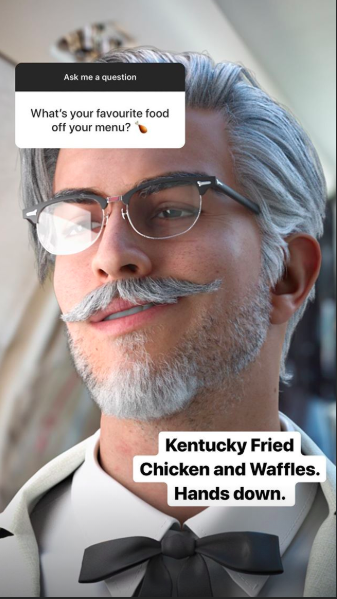 It’s the brainchild of Weiden + Kennedy and the KFC folks and it seems to have a lot of people talking–including many on Twitter talking about how “hot” the virtual Sanders is! On one hand, this is a full-blown publicity stunt by KFC (and it seems to be working!). On the other, this is a bit of a bet on a new, and pretty weird, trend: the introduction of virtual influencers for brands. Yep, virtual influencers are a thing. To the tune of $125M. That’s how much a company named Brud (yes, Brud) is worth after a recent round of financing. You’ve probably never heard of some of these virtual influencers, but Lil Miquela now has 1.5M followers on Instagram. Apparently, this is a trend worth monitoring! And, that’s exactly what KFC is doing here–and then some. This move is very much in line with KFC’s brand personality. Just look at how they position the virtual Sanders on Insta. This also makes sense since it’s only a limited-time thing. Virtual Sanders will only be on Insta until April 22, so enjoy him while you can! 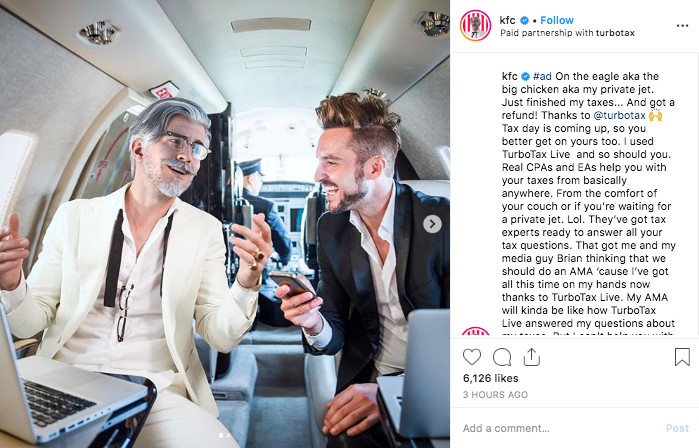 I also love the way KFC is using Virtual Sanders to poke fun at influencer culture. Just check out this post and the “aspirational” tone of the text. Of course, no influencer would be worth his salt if he didn’t have brand partners. Enter Turbo Tax, Dr. Pepper and Old Spice. Below is one of the posts highlighting the partnership with Turbo Tax (note the #ad disclaimer right at the top–even virtual influencers need to disclose!). 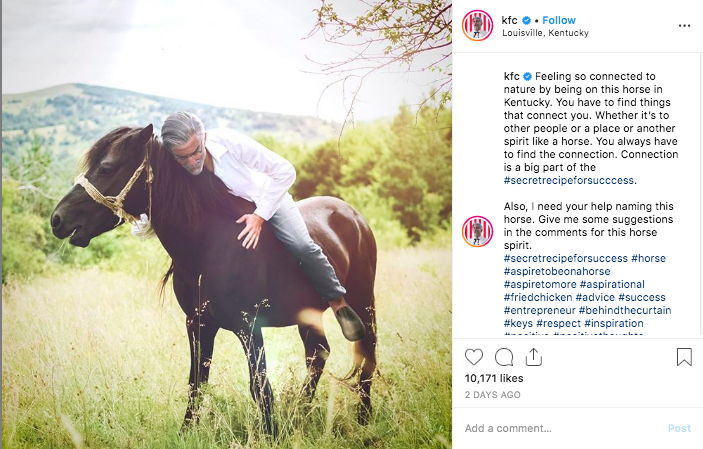 Over the last few days, KFC has had all sorts of fun with this–including using some of the most popular features on Insta Stories. 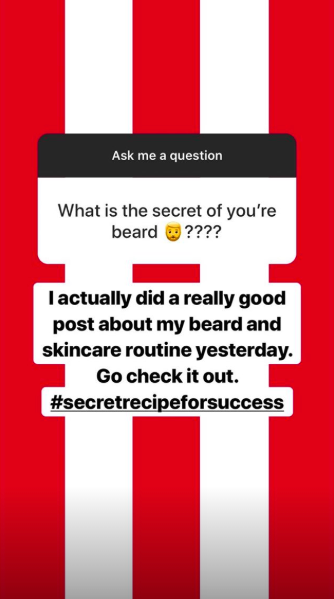 Promoting another of their brand partners here (Old Spice). Promoting one of their most recent menus items here. So far, overall, I think this is very well done by the KFC folks. The bigger, and more important question is this: Are virtual influencers a trend worth taking a peek at on the brand level? 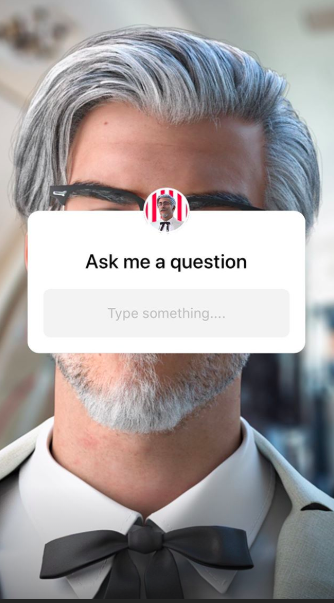 For now, I think my answer would be: “let’s see how this goes.” So, I’m going to be following along with the Colonel closely over the next week. Might be worth it for you to do the same!